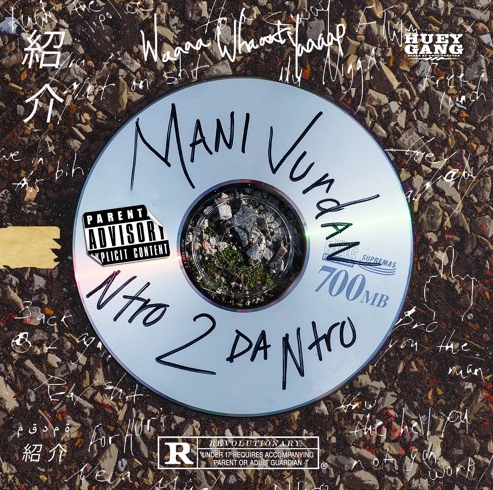 Mani Jurdan has been featured on our page before, and tonight he is back with his most important release to date with “Ntro 2 Da Ntro”. This project is a little bit over half an hour in length and has a total of nine tracks, and it starts off with some extremely dope spoken word that has a beautiful message. There are a few great features on this tape from the likes of Stark, John Renaissance, Khaliyah X, Windy Indy and last but not least, Phenom. The production on this project was solid all around, so shout out to Owen Ob, Lord Ness, TanMan, M.A.B.and Sound Cap. Mani Jurdan has been on my radar for awhile now, so I’m really glad to see him improving musically and growing as an artist. Show some love to the project below and be sure to give him a follow here!